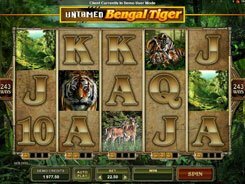 Bengal Tiger is a five-reel slot that is part of the Untamed series of slots from Microgaming. The game is based on a 243 ways to win model, so winning combos are built up by identical symbols landed from left to right with no predetermined pattern. 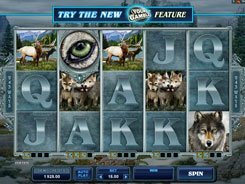 The slot features photorealistic symbols that depict tigers, deer and forest landscapes; these are supplemented by playing card icons. 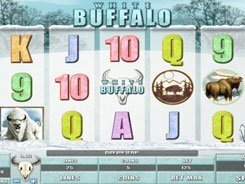 With a maximum bet reaching $22.5 per spin, the slot offers the top jackpot prize of x3000 times a total bet (or $67,500 if playing at max). The slot has a wild symbol represented by the logo. Every time the wild occurs on a reel, it contributes to the meter for that reel. When any of the five meters gets filled up completely, the symbols on that reel morph into wilds and remain as such for 4 consequent spins. 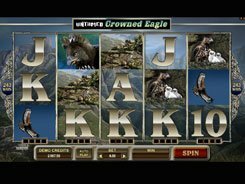 Besides, the slot has a Tiger’s Eye scatter, with at least three unlocking 20 free spins. 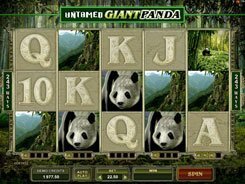 The Lucky Nudge feature available in the game increases your chances of activating the free spins round.